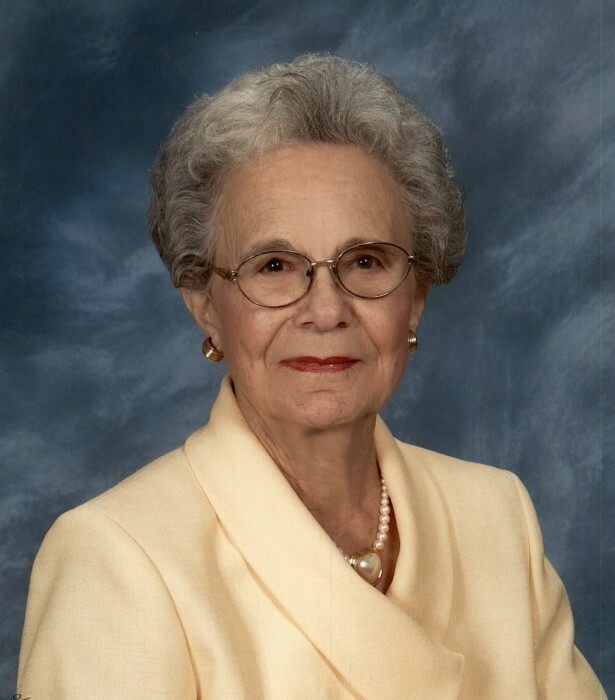 Mrs. Leotha Sasser Jordan, 96, died November 15, 2018 at Shoreland Healthcare in Whiteville, N.C. She was the daughter of the late Carl Sasser and Ethel Pierce of Hallsboro, N.C. and was one of nine children. Leotha was preceded in death by her husband, Grady L. Jordan, to whom she was married for 59 years, living in Western Prong, a brother, Sydney “Jack” Sasser, and a sister, Carolyn Hester. She is survived by her son David Jordan and wife, Sue, of Whiteville, N.C.; four sisters, Esther Williamson, Pat Russ, Sarah Beth Crawford and husband, Charles, all of Whiteville, N.C. and Doris Nichols and husband, Earl, of Bishopville, S.C.; two brothers, Eugene Sasser and wife, Iris, of Whiteville, N.C., and Shafter Sasser and wife, Dorothy, of Hallsboro, N.C.; two grandchildren, Katherine Scott and husband, Ethan, of Whiteville, N.C.; Ellis Jordan and wife, Taylor, of Clarkton, N.C.; and two great-grandchildren, Addison Grant Jordan, and River Scott. Leotha graduated from Hallsboro High School in 1939 and in the early 1940s worked for Roses and Collier’s Jewelers of Whiteville, N.C. She married in 1946 and spent the rest of her life as a wife, mother, and homemaker. She was one of the founding members of the Western Prong Extension Homemaker’s Club, often serving as an officer. Leotha was a member of the Daughters of the American Revolution, the Eastern Star, and Western Prong Baptist Church. In the late 1960s she started a catering service, which was one of the first in Columbus County and was an amateur genealogist, researching and compiling family histories of the Jordan and Sasser families, gathering many valuable family documents. She researched and secured for her family’s land the designation of Century Farm awarded by the N.C. Department of Agriculture. Leotha loved and practiced all types of needle crafts—crocheting, knitting, and quilting—until late in life. She was an avid gardener, spending many long and pleasurable hours working in her garden and yard. She took great pride in being a farmer’s wife. She loved her brothers, sisters, and sisters-in-law and enjoyed their frequent visits. A Graveside Service will be Saturday November 17, 2018 at 2pm @ Western Prong Baptist Church Cemetery with Rev. Robert E. Jordan officiating.